London – Cacelli & Partners is now registered – n. 2018-17651911-86 – in the Register of Transparency held by the Ministry of Economic Development of the Italian Republic. 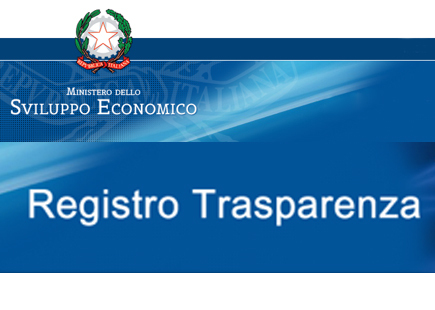 The Mise Transparency Register is a tool for active participation and control, based on the model used by the European Institutions and is part of the further transparency and accountability measures with the aim of providing citizens with further information on who are the interlocutors of the Ministry and how they interact with it. The MISE reference interlocutors have the interest to participate actively in decision-making processes, because their activity of representing interests can be fundamental to bring to the knowledge of public decision-makers a series of substantial information, coming from social actors who know the problems directly. specific and sector difficulties. In this way, the research and information activities of the stakeholders take on a useful role for those who are called to deal with legislative and government tasks, considerably reducing the risk of regulatory actions not consistent with the expected objectives.